261 Beacon is located on the south side of Beacon, between Dartmouth and Exeter, with 259 Beacon to the east and 263 Beacon to the west. 261 Beacon was designed by Blaikie and Blaikie, architects, and built in 1889-1890, for mason and builder Peter Graffam, one of three contiguous apartment buildings (330 Dartmouth, 259 Beacon, and 261 Beacon). He and his wife, Alice S. (Tufts) Graffam, lived in Malden. Click here for an index to the deeds for 261 Beacon. 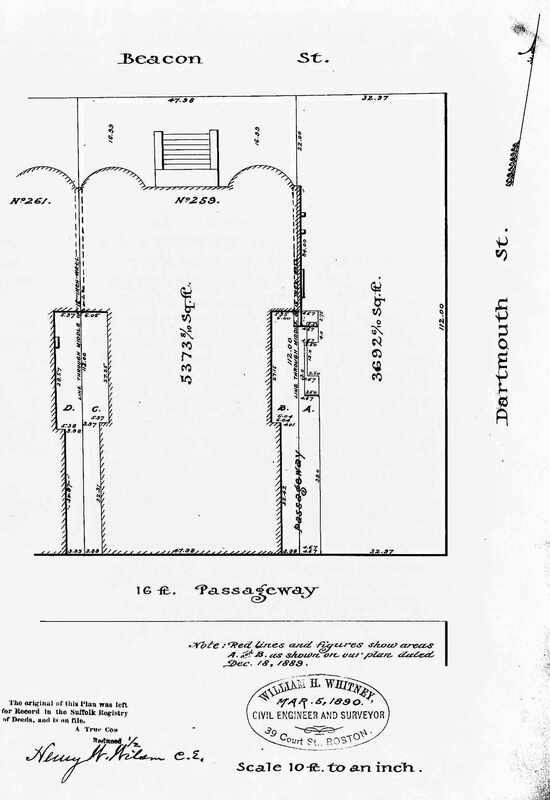 On April 16, 1890, 261 Beacon was purchased from Peter Graffam by attorney Linus Mason Child. He and his wife, Ada (Abbie) M. (Cummings) Wilson Child, had lived in an apartment at 259 Beacon during the 1889-1890 winter season (he had purchased 259 Beacon from Peter Graffam in December of 1889 and sold it the same day). By the 1890-1891 season, they were living in an apartment at 330 Dartmouth. On October 21, 1890, 261 Beacon was acquired from Linus Child by Edward Henry Davies. He and his wife, Susan W. (Bridge) Davies, lived in Portland, Maine, where he was president of the Portland Gas Light Company. On July 11, 1898, 261 Beacon was acquired from Edward Davies by James F. Wilkinson of Newton. The property subsequently changed hands and on May 1, 1900, was acquired by a trust established under the will of Frederick Lothrop Ames for the benefit of his daughter, Helen Angier (Ames) Hooper, the wife of Robert Chamblet Hooper. 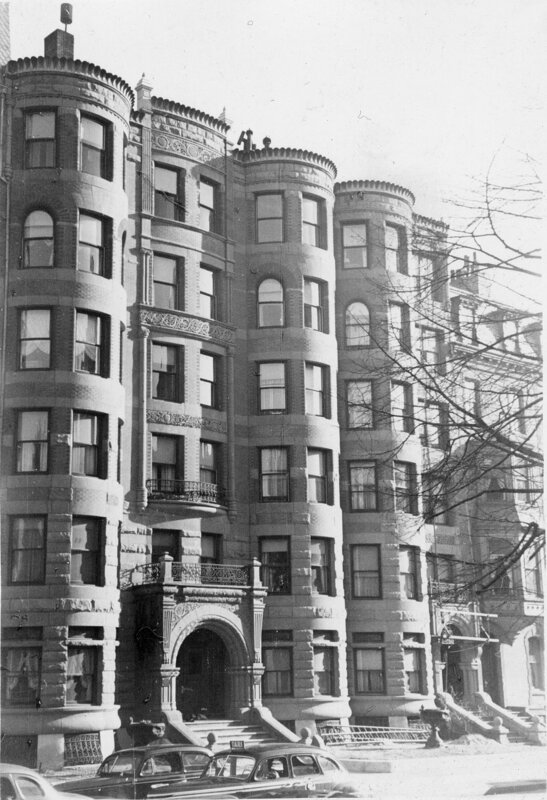 The Hoopers lived at 448 Beacon. 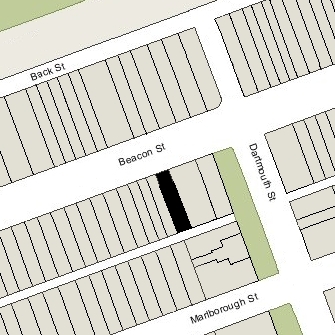 The trust had acquired 330 Dartmouth and 259 Beacon in April of 1900. By 1928, Dr. Francis Minot Rackemann, a physician, had leased space at 261 Beacon for his offices. He and his wife, Dorothy (Mandell) Rackemann, lived at 263 Beacon. In December of 1928, he filed for (and subsequently received) permission to remodel 261 Beacon and cut a door through to 263 Beacon, connecting his home with his office. He continued to maintain his office there until the early 1950s, when he moved it to 266 Beacon. On August 17, 1936, the Milford Savings Bank foreclosed on its mortgage on 261 Beacon to James M. Burr, which had been assumed by the Demaras, and took possession of the property. 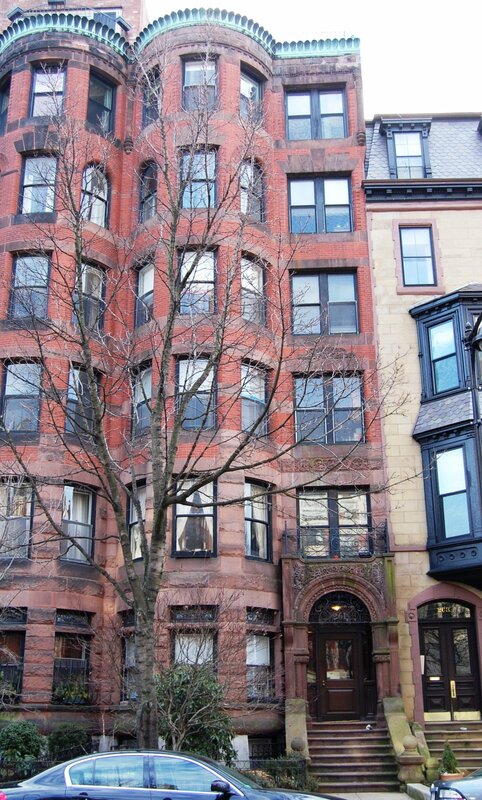 In June of 1936, the Boston Penny Savings Bank had foreclosed on its mortgage on 259 Beacon to George Welch, also assumed by the Demaras, and had taken possession of that property. The Milford Savings Bank continued to own 261 Beacon until November of 1941. It subsequently changed hands, remaining five apartments and a medical office. On January 6, 1944, 261 Beacon was acquired by Irving Greenblatt, and on February 3, 1944, he conveyed it to Beacon Apartments, Inc., of which he was the treasurer. In September of 1948, Beacon Apartments, Inc. applied for (and subsequently received) permission to convert the property from five apartments and a doctor’s office into fifteen apartments and a medical office. On October 31, 1950, Beacon Apartments, Inc., transferred the property back to Irving Greenblatt. On February 28, 1952, 261 Beacon was acquired from Irving Greenblatt by the Stanley Investment Corporation. In June of 1955, it applied for (and subsequently received) permission to change the occupancy from fifteen apartments and a medical office to eighteen apartments. The property subsequently changed hands and on April 7, 1982, was purchased by Rupert R. Gildenhuys and Federico Castellucci, trustees of the Gildenhuys Trust. In July of 1981, Rupert R. Gildenhuys, as trustee of the Ross Trust, had acquired 259 Beacon. On October 27, 1983, the Gildenhuys Trust converted 261 Beacon into sixteen condominium units. 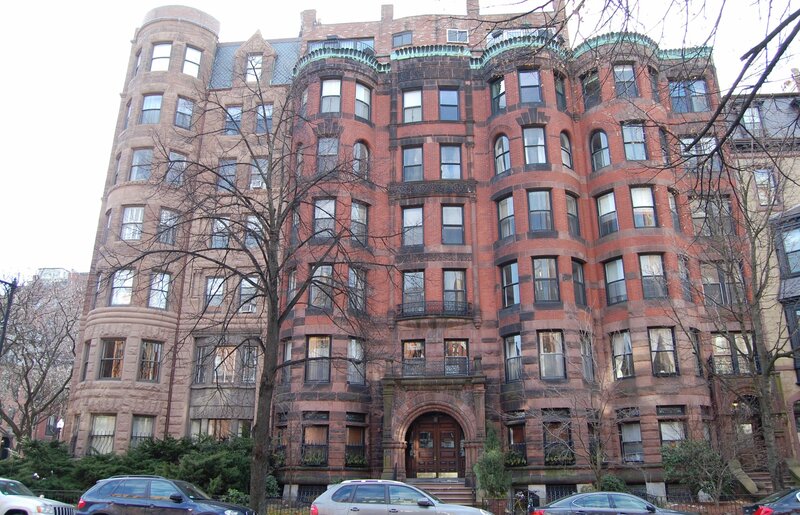 The 261 Beacon Street Condominium.